Currently being catalogued at the Bodleian Library are papers of Sir Cecil Clementi (1875-1947), Colonial Secretary in British Guiana (1913-1922) and Ceylon (1922-1925) and Governor of Hong Kong (1925-1930) and the Straits Settlements (1930-1934). These compliment the Clementi papers already received and catalogued by the Library in 1997 (shelfmark: MSS. Ind. Ocn. s. 352). Clementi spent many years working in Hong Kong having first been posted there as a cadet in 1899. 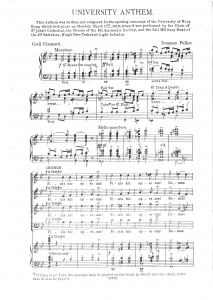 He was involved with the foundation of the University of Hong Kong and wrote the words (in Latin) of the University Anthem which was performed at the opening ceremony on 11 March 1912. In 2011, Professor Chan Hing-yan re-orchestrated the Anthem as part of the University’s centenary celebration (listen here). Clementi returned to Hong Kong as Governor in 1925. 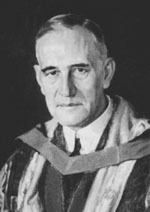 He was made Chancellor of the University the same year and in 1926 was awarded an Honorary LLD (Doctor of Laws).